Dermady Architects (DA) provides architectural, interior design and master planning services for education, workplace and residential clients. DA was founded in 2010 as a nimble and efficient design firm guided by an entrepreneurial spirit, a collaborative approach and 25 years of high quality design and construction experience. DA strives for purposeful design characterized by purity of form and clearly ordered spaces, healthy environments infused with natural light and views, durable construction with natural materials, low energy consumption as well as inspiration derived from the context, culture and climate of place. Our creative approach is distinguished by quality and consistency of thought, depth of professional experience and integrity of process brought to each client’s needs, aspirations and financial constraints. The office is located in Lincoln MA, a place known for its progressive environmental and cultural stewardship as well as its strong sense of community and innovation. Martin Dermady, AIA LEED AP leads the growing firm with 25 years of experience providing architectural, interior design and master planning services for education, workplace and residential clients. 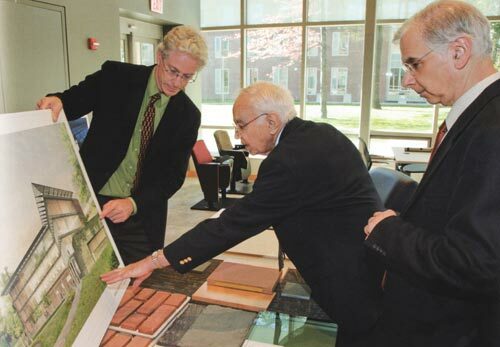 Prior to founding DA, Martin was an Associate Principal with the reputable Boston firm, Kallmann McKinnell and Wood Architects, leading projects like the Mandel Center at Brandeis University. During this time he also maintained an independent practice completing projects including the Lexington Montessori School Campus Master Plan and new Academic Building as well as designed the AKA Bistro restaurant and several residences in Lincoln MA. His childhood interest in architecture evolved to focus on nature, place, community and building materials. Martin holds a Master of Architecture degree from Harvard University, and earned his Bachelor of Architecture degree from Syracuse University.